"Siege of Odessa" redirects here. For the naval battle at Odessa in 1914, see Battle of Odessa (1914). 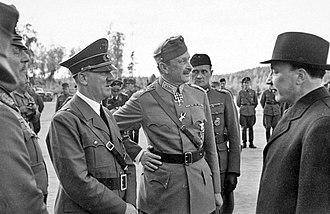 On 27 July 1941, Hitler sent a letter to General Ion Antonescu in which he recognised the Romanian administration of the territory between the Dniester and the Bug rivers. The Romanian Third Army had already crossed the Dniester on 17 July. Lieutenant-general Nicolae Ciupercă's Fourth Army advanced over the river on 3 August, with the 5th Corps, comprising the 15th Infantry Division and 1st Cavalry Brigade, joined by the 1st Armored Division. On 8 August, the Romanian General Staff issued the Operative Directive No. 31 instructing the 4th Army to occupy Odessa off the march. It was thought that the city garrison, which was heavily outnumbered, would surrender quickly. 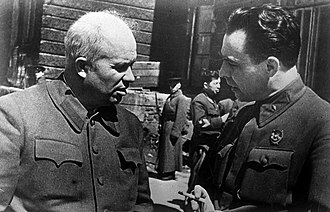 Odessa was heavily fortified by three defensive lines and, thanks to the presence of the Soviet Black Sea Fleet, could not be completely surrounded. The first line was 80 km long and situated 25–30 km from the city. The second and main line of defense was situated 6–8 km from the city and was about 30 km long. The third and last line of defense was organized inside the city itself. The forces that initially manned the fortifications were made up of the 25th and 95th Rifle Divisions, the 2nd Cavalry Division, the 421st Rifle Division, the 54th Rifle Regiment and an NKVD Regiment. The Red Army had 34,500 men and 240 artillery pieces in the area. Air support was provided by the 69th Fighter Aviation Regiment, two seaplane squadrons and one bomber squadron. Later, other fighters joined the defenders, as did an Il-2 squadron. The defense of Odessa lasted 73 days from 5 August to 16 October 1941. On 10 August, in the sector of the 3rd Corps, the bulk of the 7th Infantry Division reached Elssas, while the 1st Guard Division arrived on the alignment Strassburg – Petra Evdokievka. In the sector of the 5th Corps, the 1st Armored Division broke through Odessa's first line of defense. That evening, the Romanian division reached the second line of defense. The 1st Cavalry Brigade took Severinovka and joined the 1st Armored Division. At the same time, the 10th Dorobanţi Regiment overran the Soviet forces at Lozovaya. The 4th Army gradually closed the circle around Odessa, but the offensive was temporarily stopped by Antonescu on 13 August to strengthen the line west of the Hadjibey bank. 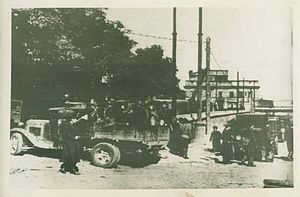 The offensive resumed on 16 August, as Romanian troops attacked along the entire line, capturing Odessa's water reservoirs on 17 August. 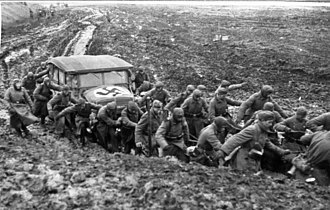 The Soviet forces put up a stubborn resistance, launching repeated counter-attacks, inflicting and taking heavy casualties. 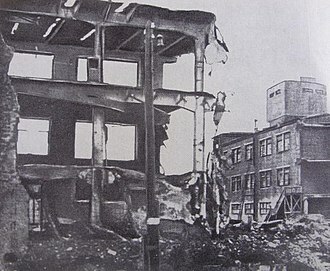 The Royal Romanian Air Force actively supported the ground troops, disrupting Soviet naval traffic to and from Odessa, and also destroying an armored train on 20 August. A Soviet gun crew during the siege. By 24 August, despite constant attacks, the Romanians were bogged down in front of the Soviets' main line of defense. 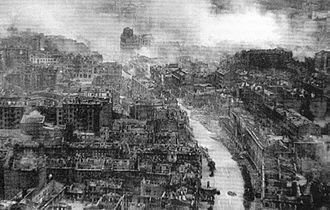 The 4th Army had already suffered 27,307 casualties, including 5,329 killed in action. 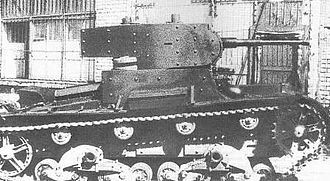 Nevertheless, the Soviets were also weakened, and thanks to the capture of Kubanka, Romanian heavy artillery now threatened the port of Odessa. Over the next three days, there was a lull in the fighting. On 28 August, the Romanians resumed their offensive, reinforced by a German assault battalion and ten heavy artillery battalions. The 4th, 11th and 1st Army Corps advanced towards Gnileakovo and Vakarzhany, only to be pushed back in some areas by a strong Soviet counterattack the following day. On 30 August the Romanians retook the initiative, but gained very little ground. 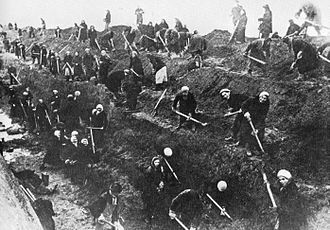 Hitler and the German High Command noted that 'Antonescu [was] using at Odessa the tactics of the First World War,' crudely depending upon infantry to make unsupported frontal attacks against Soviet trench line defenses. The Soviets temporarily retook Kubanka but were driven back by nightfall. 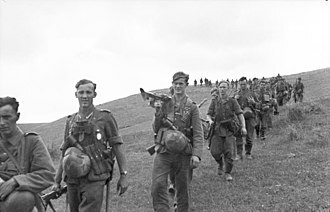 Soviet troops in Vakarzhany were encircled and continued to fight until 3 September, when combined German and Romanian infantry successfully stormed the village. On 3 September, General Ciupercă submitted a memoir to by-now Marshal Antonescu, highlighting the poor condition of the front-line divisions, which were exhausted after nearly a month of continuous fighting. 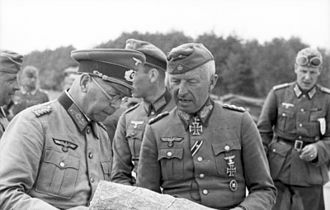 He proposed a reorganization of six divisions (the 3rd, 6th, 7th, 14th, 21st Infantry and Guard Divisions), which would be split into 2 corps and supported by 8 heavy artillery battalions. 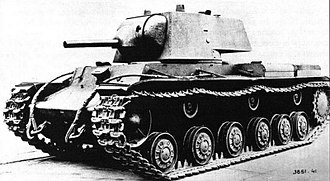 These units would then attack in a single area to break through the Soviet line. The memoir however, was rejected by both Antonescu and Brigadier-General Alexandru Ioaniţiu, chief of the Romanian General Staff, who argued that an attack in a single direction would leave the rest of the Romanian line too exposed. Marshal Antonescu subsequently issued a new directive calling for attacks between Tatarka and Dalnik, and Gniliavko and Dalnik, to be made by the 11th and 3rd Corps, respectively. 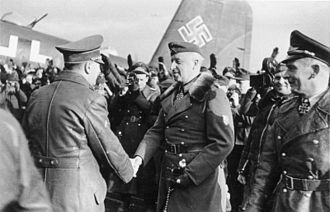 Ioaniţiu forwarded a note to Major-General Arthur Hauffe, chief of the German military mission to Romania, informing him of the situation at Odessa and requesting assistance in the form of aircraft and several pioneer battalions. Although the Royal Romanian Air Force enjoyed some success against the Soviets ground and air forces, it was ill-equipped for anti-shipping raids, and the Soviets were being steadily reinforced and resupplied via the Navy. Meanwhile, the Romanian offensive was halted to wait for reinforcements. 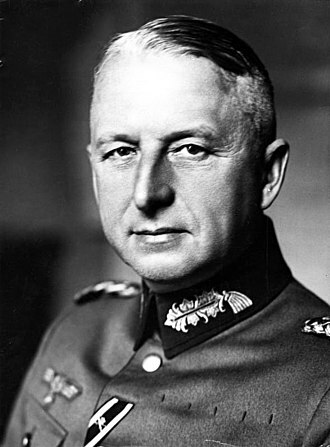 A German detachment led by Lieutenant-General René von Courbier and comprising one infantry regiment, one assault pioneer regiment and two artillery regiments arrived. Concurrently, the Soviets also received 15,000 men and ammunition. On 9 September, Ciupercă was replaced by Lieutenant-General Iosif Iacobici, who was expressly ordered to follow the General Staff's directives without question. 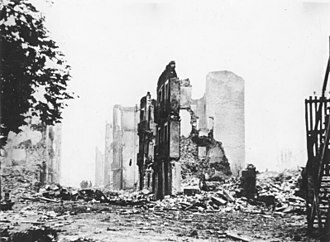 The offensive resumed on 12 September, but was again stopped temporarily on September 14 as Romanian and German artillery units were running low on ammunition. Two Vânători battalions were encircled by Red Army troops near the Hadjibey bank, but were eventually relieved despite Soviet efforts to annihilate them. 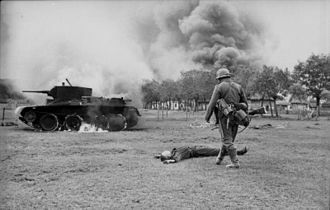 On the night of 15 September, Soviet troops broke contact with the Romanian 1st Corps and retreated toward the southeast. On 16 September, the 1st Corps took the heights northwest of Gross-Liebenthal. Romanian troops also occupied the area south of the Sukhoy bank. 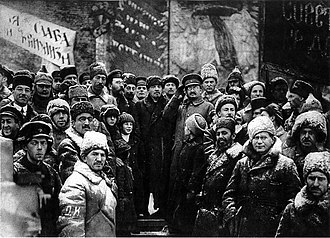 Over 3,000 Soviet soldiers were captured, but these losses were replaced by the 157th Rifle Division, with a strength of 12,600 troops. Also, 18 Soviet companies were brought in from Novorossiysk. Partisan fighting continued, however, in the city's catacombs. 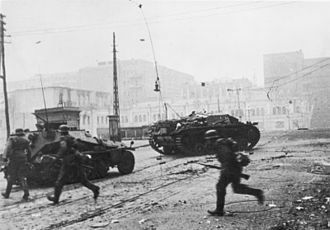 The expected Soviet counteroffensive which was meant to break the siege came during the night of 21/22 September 1941, and it was the climax of the battle for Odessa. Red Army troops established a bridgehead at Chebanka, threatening the Romanian 4th Army's weaker right flank. 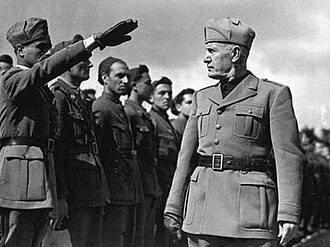 Before the Soviets could attack, a large formation of 94 Romanian aircraft (32 bombers and 62 fighters) supported by 23 Italian aircraft attacked the Red Army troops as they advanced North. 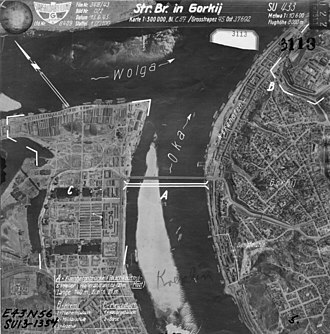 During the ensuing aerial battle, which lasted ten hours, numerous bombing and strafing attacks were carried out against the Soviet bridgehead, as well as numerous dogfights with the Soviet Air Force. The bridgehead was pulverized, with eventually all Soviet troops withdrawing from the area during the night of 4/5 October. Axis air forces destroyed over 20 Soviet aircraft (nine or ten of them during air battles) while losing one Romanian fighter during air combat plus four more either shot down by Soviet flak or destroyed on the ground. One Italian Savoia-Marchetti bomber was also lost. With the advance of Axis forces into the Soviet Union, STAVKA decided to evacuate the defenders of Odessa. On the night of 14–15 October 1941, the Black Sea Fleet evacuated the garrison to Sevastopol where most of the units were later destroyed in the bitter fighting that took place there during the Defence of Sevastopol. The Black Sea Fleet also managed to evacuate 350,000 soldiers and civilians. 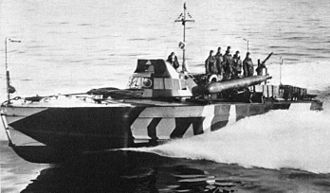 In support of the land offensive, the Romanian Navy dispatched motor torpedo boats to the recently occupied port of Vylkove (Vâlcov in Romanian). During the night of 18 September, the motor torpedo boats NMS Viscolul and NMS Vijelia attacked a Soviet convoy south of Odessa, each boat launching her two torpedoes at the closest enemy destroyer. Three of the four torpedoes missed. The fourth torpedo struck and damaged the Soviet destroyer, but failed to detonate. It was one of the few actions the Romanian Navy undertook to support the siege, generally limiting itself to patrols of the submarine Delfinul. No Western source could be found to confirm this claim. On 20 August, Delfinul fought the only submarine vs submarine engagement of the siege. At 12:08 pm, the Soviet M-class submarine M-33 launched a torpedo at her, which missed. Delfinul swiftly counterattacked with her twin 13 mm machine gun, causing the Soviet submarine to submerge and retreat. During the October evacuation, Heinkel He 114 seaplanes of the Romanian Naval Aviation captured a Soviet armed merchantman. 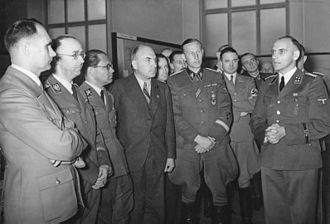 The operations at Odessa highlighted significant weaknesses in the Romanian Army, leading both military and political leaders in the country to call for a discontinuation of military operations against the Soviet Union. 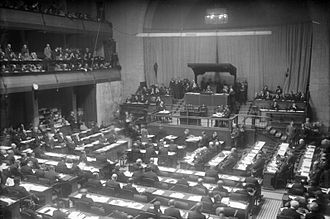 Antonescu ignored such objections, regarding continued participation and eventual victory on the Eastern Front as necessary for the restoration of Romania's territorial integrity. 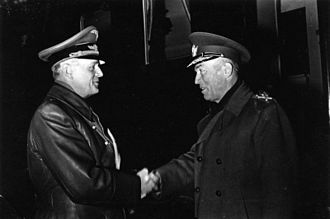 The Romanian victory at Odessa represented the most significant victory ever achieved independently by an Axis satellite. 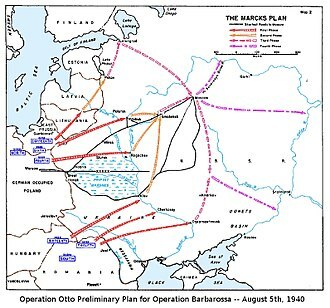 The recapture of Bessarabia and Northern Bukovina in Operation München and the subsequent victory at Odessa led to a partial demobilization of the Romanian army, which was reduced in size from nearly 900,000 personnel on 1 October to 465,000 on 1 January 1942. 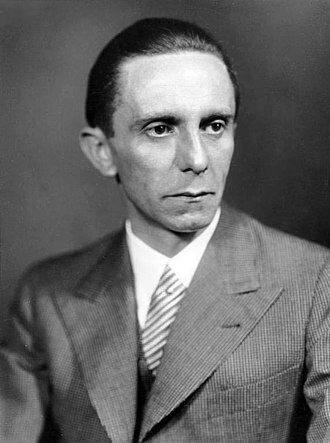 Politically, the presence of Romanian troops in Odessa and the establishment of the Transnistria Governorate led to a deterioration of Romania's international situation, with the British declaring war on Romania on 6 December, and on 12 December Romania declared war on the United States in solidarity with Germany and Japan. Odessa was one of the first four Soviet cities to be awarded the title of "Hero City" in 1945, the others being Leningrad, Stalingrad, and Sevastopol. Museum of the Heroic Defense of Odessa (411th Coastal Battery Memorial) was opened on the day of the 30th anniversary of the victory over Nazi Germany, 9 May 1975. Close by is also the Museum of Partisan Glory in the Odessa Catacombs. The underground museum commemorates the partisan movement in the Odessa region. ^ Killed on the 22nd by delayed Soviet bomb placed at Romanian HQ. 16 other Romanian officers killed in bomb blast. ^ Axworthy (1995), p. 50. ^ a b "The Battle of Odessa - 1941". WorldWar2.ro. ^ a b c Axworthy, Mark. Third Axis Fourth Ally: Romanian Armed Forces in the European War, 1941–1945. 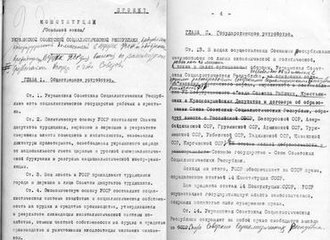 p. 58. ^ Stahel, David (2012). Kiev 1941. New York City: Cambridge University Press. pp. 136–37. ISBN 978-1-107-01459-6. ^ Dowling, Timothy C. (2014). Russia at War: From the Mongol Conquest to Afghanistan, Chechnya, and Beyond. ABC-CLIO. pp. 343–344. ISBN 9781598849486. ^ "Museum of Heroic Defense of Odessa(411th Battery)". odessatourism.org. Retrieved 20 July 2018. ^ "Museum of Partisan Glory (catacombs)". odessatourism.org. Aftermath of the Odessa Massacre: Jewish deportees killed outside Brizula (now Podilsk).